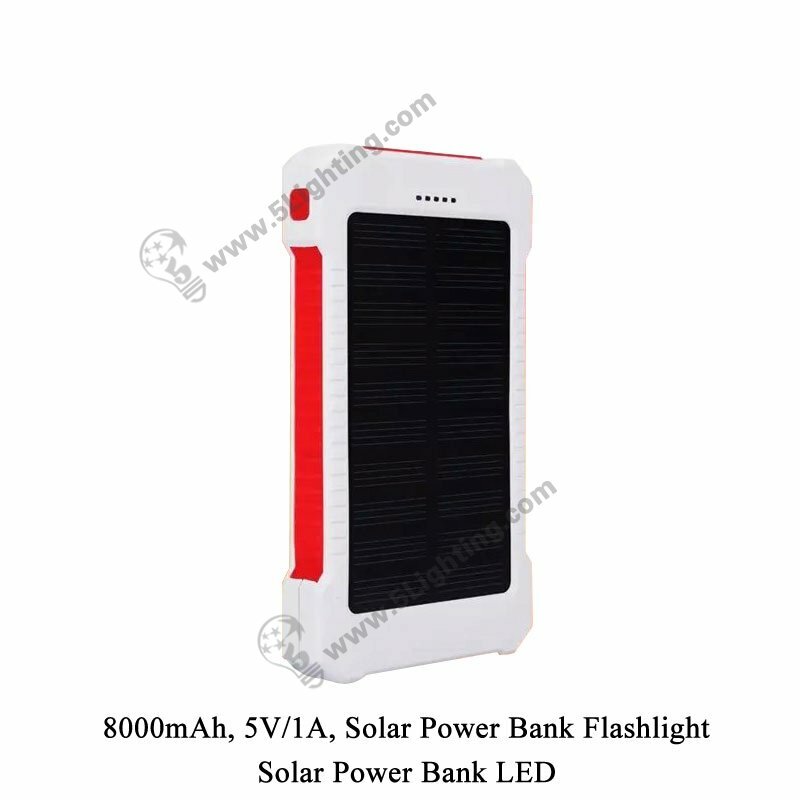 Solar power bank led 5L-8000, solar power bank flashlight camping lights. 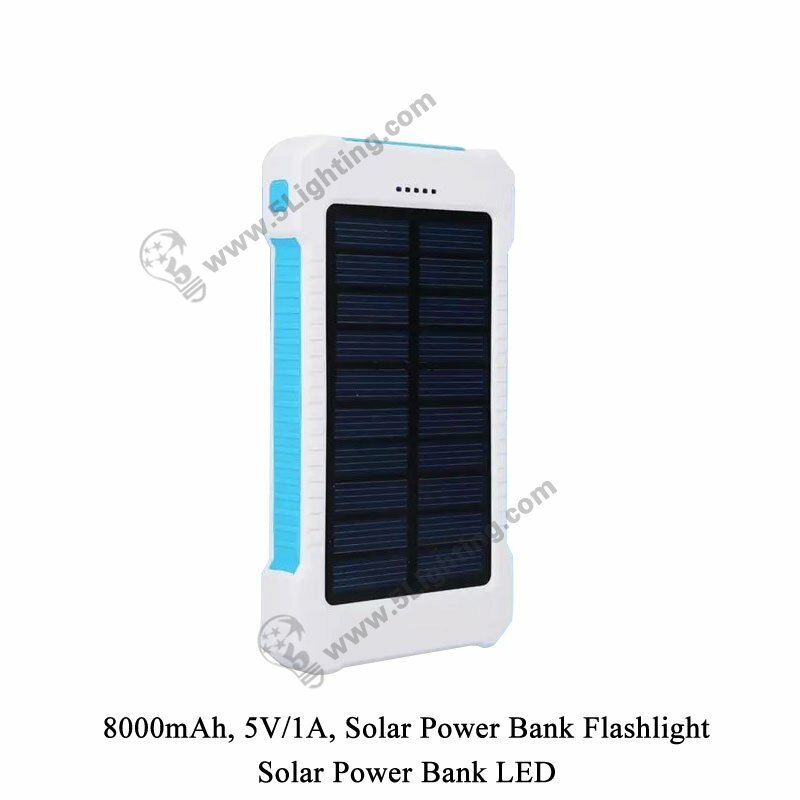 Application: Outdoor flashlight usage, or as a gift to lover, friend etc. 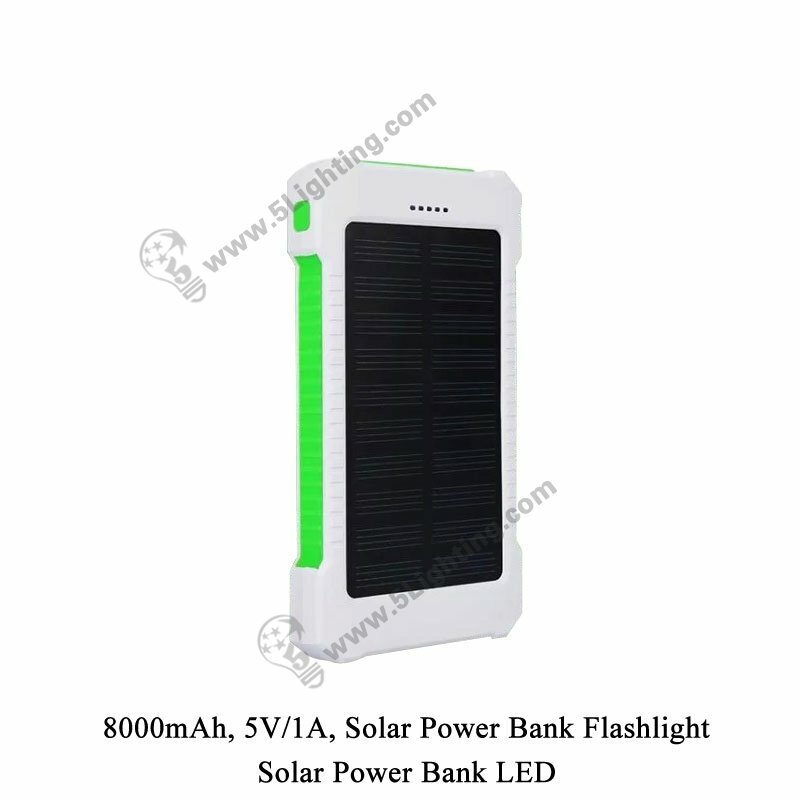 e): This power bank solar charger is very portable to carry everywhere, it will be an ideal choice to be as a gift for lover, friends, or used as a camping light while having outdoor activities, like: camping, adventure and etc. 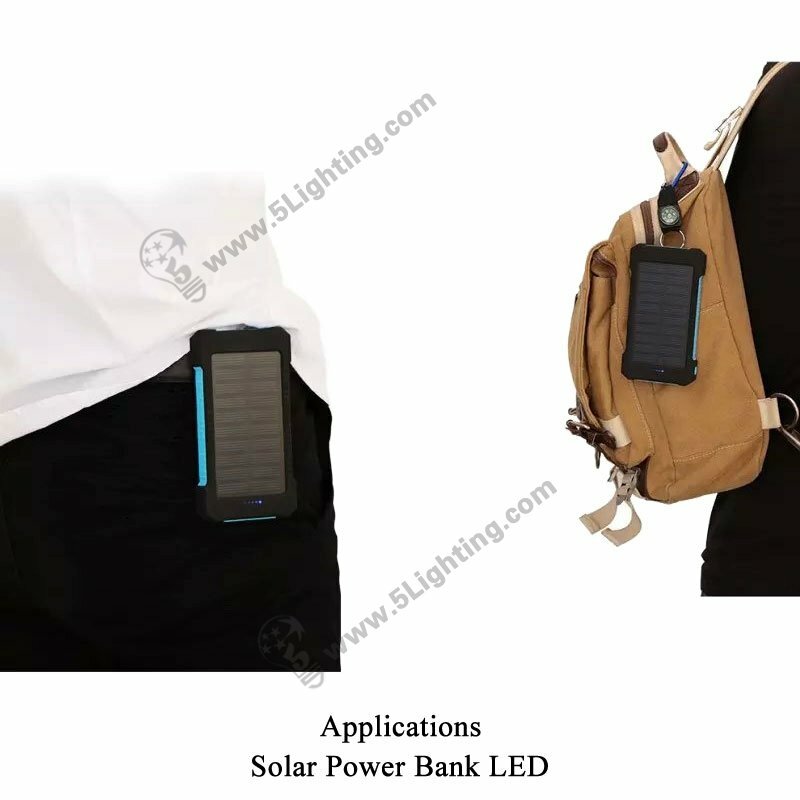 g): The solar powered flashlight comes with a keychain and a back buckle that can directly hang on bag or your pocket. 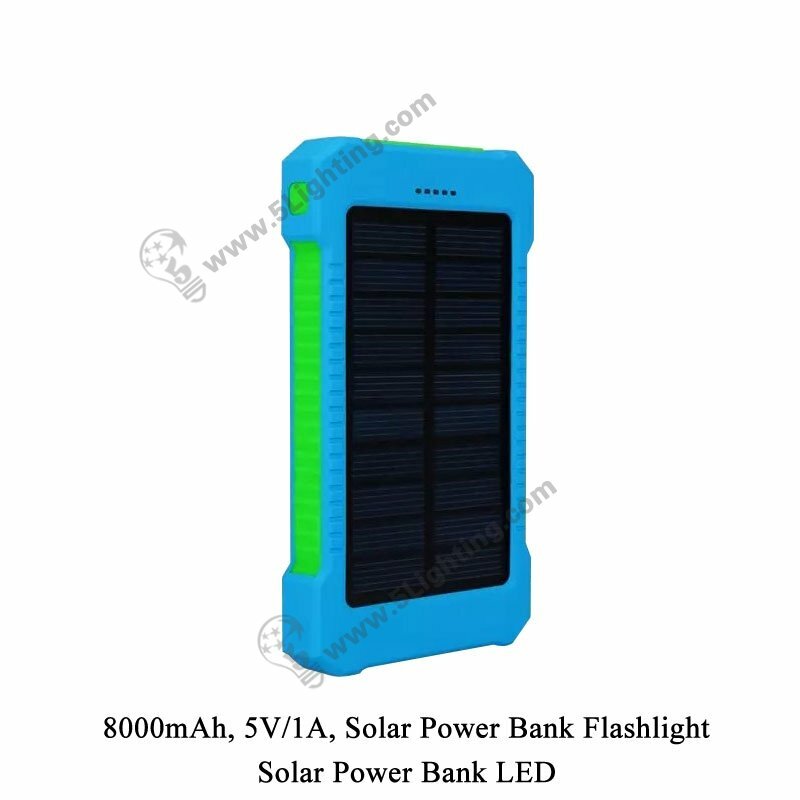 Wholesale solar power bank led 5L-8000 adopts excellent brightness LEDs as lighting source, perfectly fits for outdoor camping light or as flashlight usage, and using good quality polymer battery as power supply with energy saving, it supports for different kinds of 5V digital devices, will be an great gift that send to friends, lover etc. 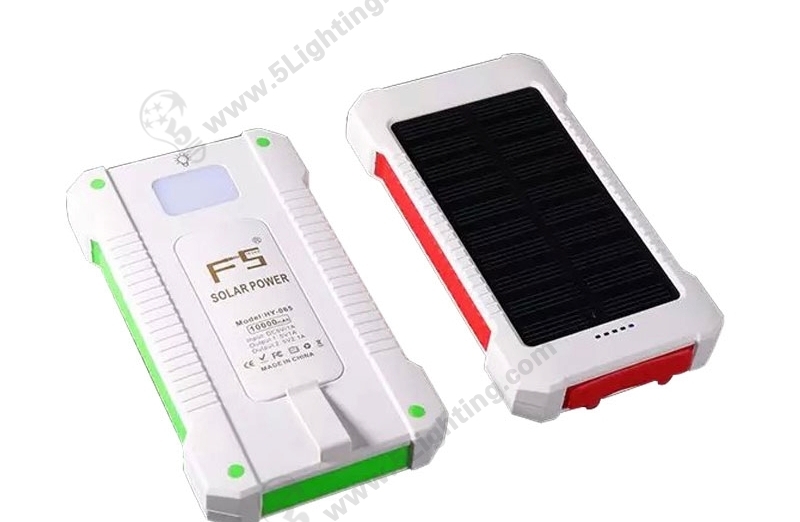 : As a portable power bank it fits for everywhere. 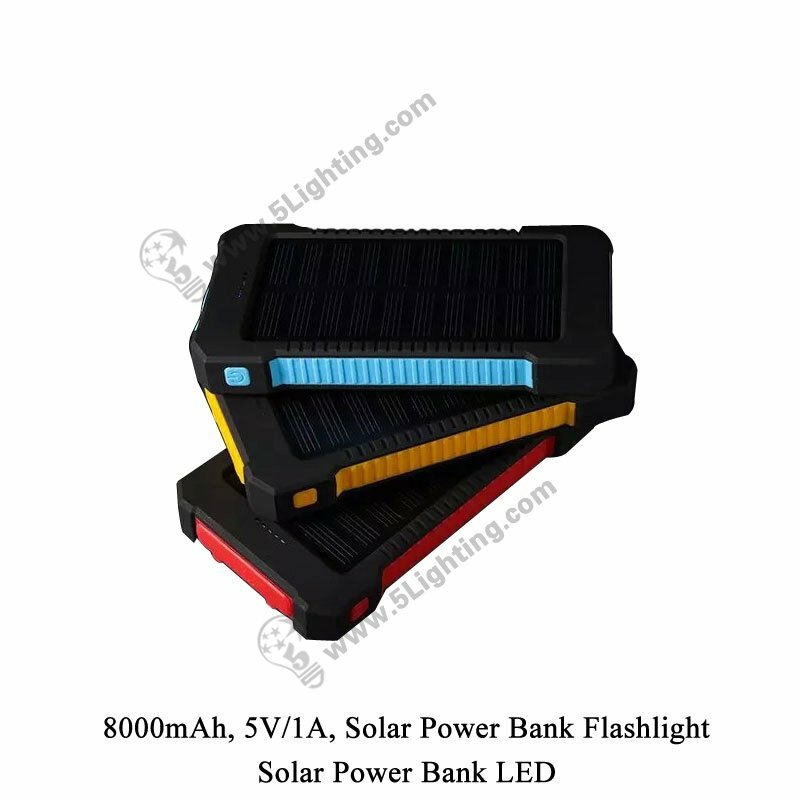 Good quality solar power bank led 5L-8000 from 5 star lighting factory ! 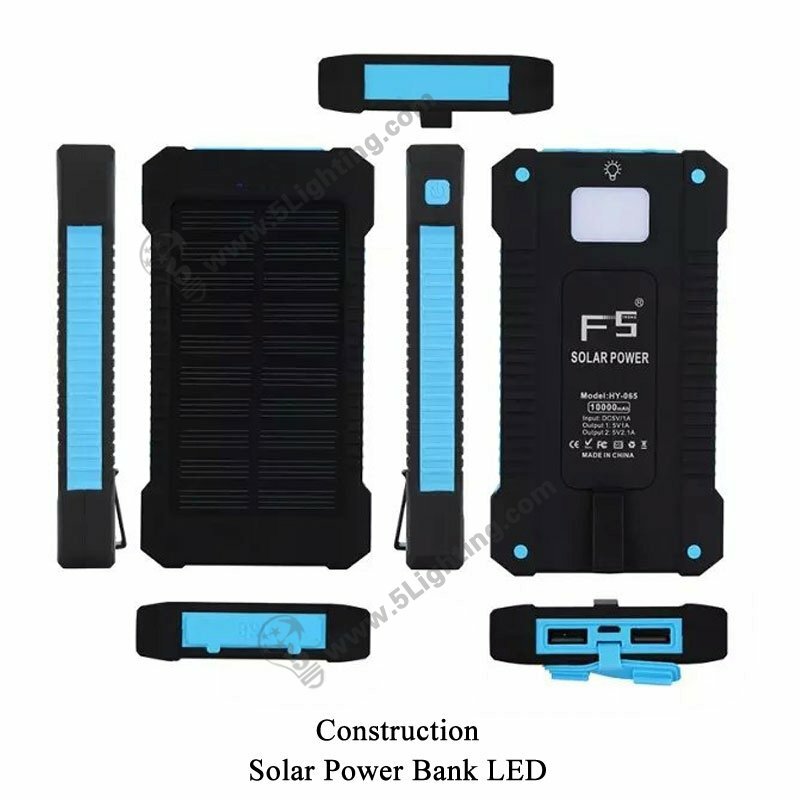 Applications: Outdoor flashlight usage, or as a gift to lover, friend etc. 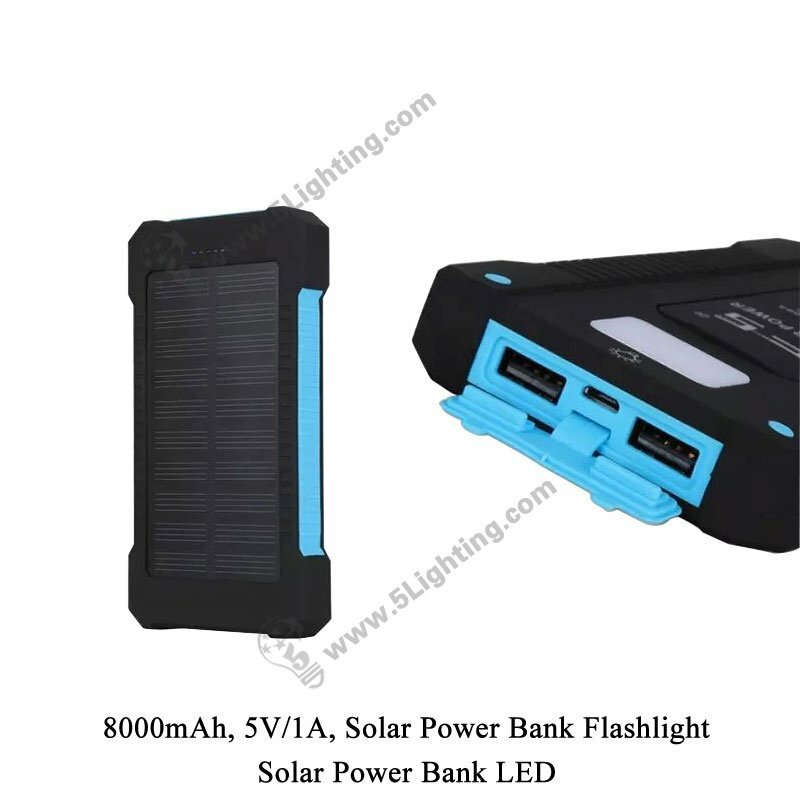 LED Flashlighting + Power Bank = Great gift option!!! Choose powered Bank Flashlight LED Camping Light, Portable to carry! 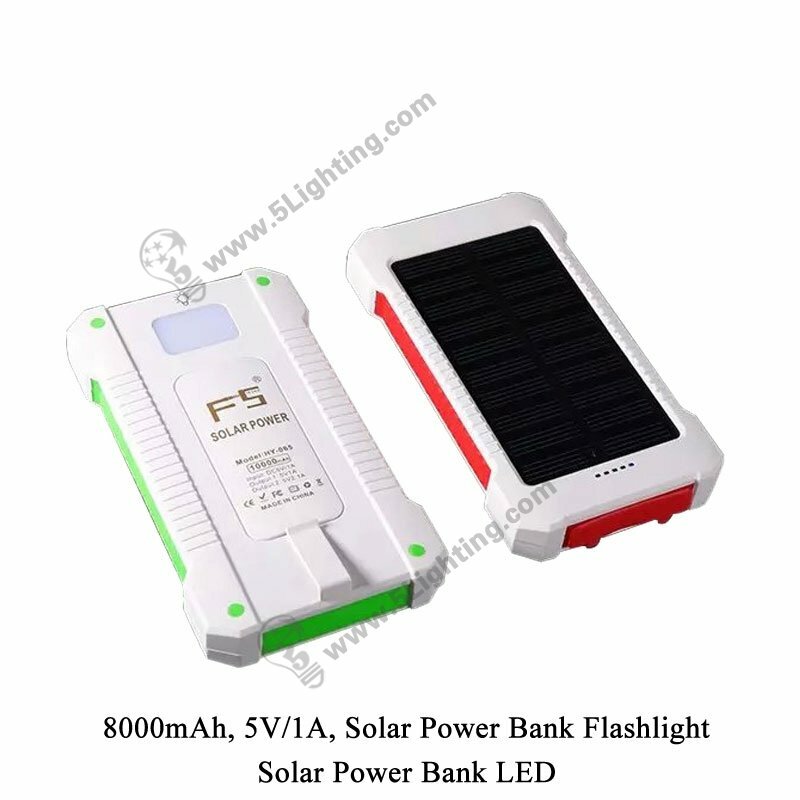 Perfectly compatible with smart mobiles and other 5V digital devices!